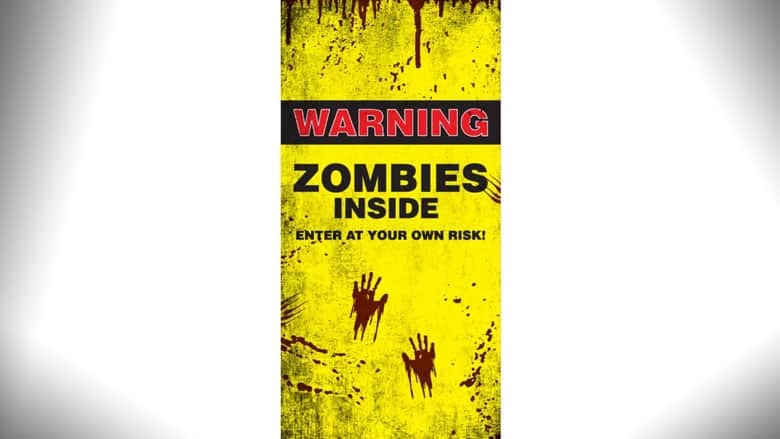 Warning: Zombies Inside Front Door Cover by The Holiday Aisle | Nerd Much? Welp, we’ve seen our first pumpkin spice product of the year, and that means it’s time to start thinking about the fall. And while most of you probably aren’t thinking about Halloween decor just yet, we’re already crafting our plans to spook-up our home, and it all starts with the front door. With that in mind, check out this zombie-themed door mural by The Holiday Aisle that warns entrants about the zed problem you’re having. It’s caution tape-yellow, and on it, there’s a big warning printed in red and black, noting that there are, indeed, zombies inside. There are also two bloody hand prints for a nice touch. What sets it apart from most other door covers is the graphic quality and material quality; it’s not some cheap plastic bag you tape to your door. And, it’s intended to be used year after year, which is why it’s made from higher quality materials than the average Halloween door cover. Now, if you know anything about Nerd Much? 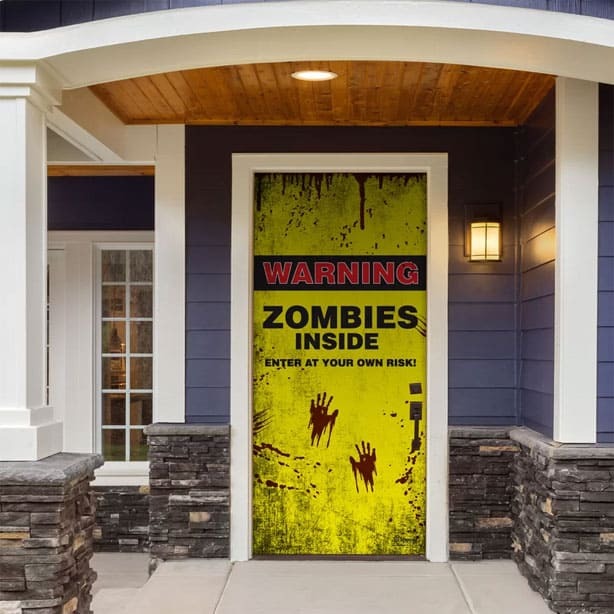 at all, you know we have an unhealthy obsession with all things zombies, so this door cover is perfect for us. Hell, we might even keep on year-round and not just have it on there for Halloween. Plus, when you factor in that it’s made by The Holiday Aisle (which has made a name for itself in the holiday decor space), it’s like having Evil Kermit whispering in your ear to pull the trigger and buy it. It’s available now at Wayfair.